I'm Back! I'm so sorry i have been MIA for months but i really do have a good reason :) I'll spare you the details here but if you're interested click over onto my personal blog. Hands down the best foundation of the year especially for oily girls like myself. It's light, blends easily and lasts all day. Hides & conceals those dark circles like a charm. No need to break the bank when this little guys does it all at a fraction of the the price. My go to blush of the year. It's smooth, silky, blends like a dream and leaves my cheeks radiant all day long. The ultimate pair. I use the Maybelline's Volum' Exp Colossal mascara as a base then go in with a layer of Loreal's Voluminous butterfy for added length and volume. Perfection! 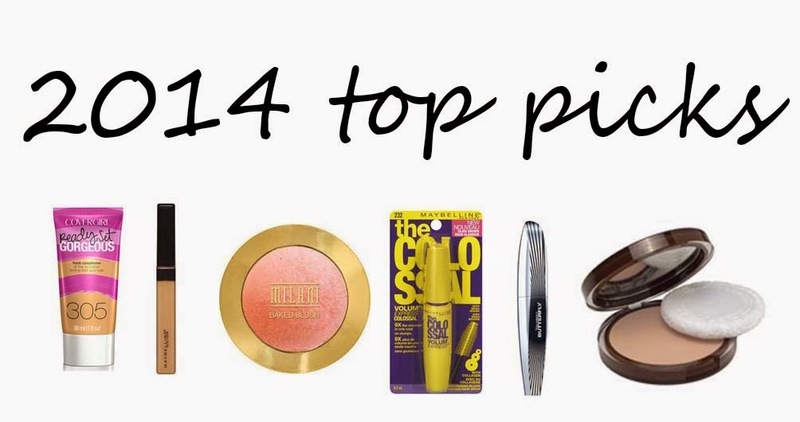 2014 was a great drugstore makeup year. Did your favorites make my list? -had the best weekend ever. Spent the entire weekend in my PJ's!! Yah! Flower beauty cosmetics is now available in Canada in stores and online! Say what? Since when? It doesn't look like this appearance will be permanent as i did not see it inside the cosmetic department but only in the aisle. Stock up ladies before they are gone! -I am breaking out! Eeek! Damn you Josie Maran! I'm done with oils! -the Mr and I joined the gym! Nothing motivates me more than having to wear a bathing suit in 4 weeks!! I need to run run run! Please deliver my Makeup Geek package now! I want to play today. So i waited and waited and finally placed my order last week! Now, it's a different kind of waiting. I am waiting for the package to arrive. It's getting close. It's in Canada, well it's been in Canada for 3 days now. Not exactly sure where in Canada but I just want it. I want it now!! -Halloween is in 2 week and i am officially freaking out. The Mr and I cannot decided what to dress up as. Do you have any suggestions? More cutesy, less gory options please! And ladies it's true! Consider this as a "dupe" for the ever famous Beauty Blender. I love the flat edge feature. It allows me to blot on foundation easily and gives me more coverage faster. My only caution; do not drench it in water. I find the best way to work around this is to spritz it a couple times with water instead of running it under the tap like I usually do with my Beauty Blender. 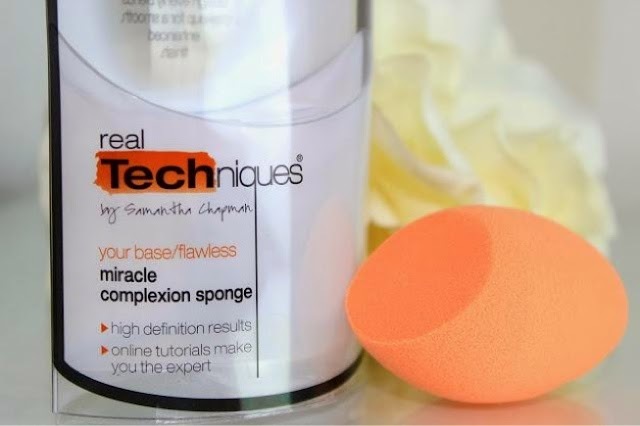 When the miracle sponge is too damp I find it applies my foundation very patchy. In terms of feel, the Beauty Blender does feel less poreous and more plush but ultimately they both do the same thing. They apply foundation flawlessly. Well done Real Techniques. 2 thumbs up!! -gobble gobble ... We have lots of turkey left! The Mr and I are planning to make soup with the left overs! -OMG Modern Family is hilarious! 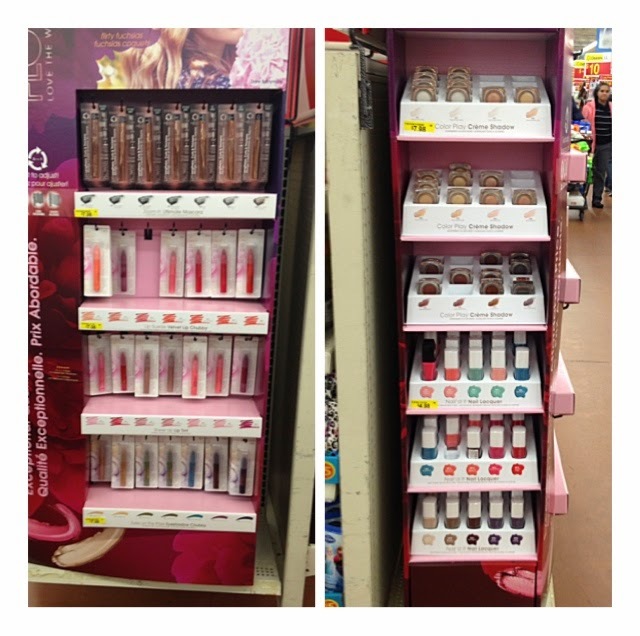 -nail polish blitz alert! RCSS has a cart full .. All marked down (50%off) Happy shopping! If you are new to vampy lips or looking for something less intense this one is perfect for you. It's quick, easy and fool proof! Stick lipsticks can be applied in 1 minute flat! If you are looking for a more purple toned vampy shade ... search no more! 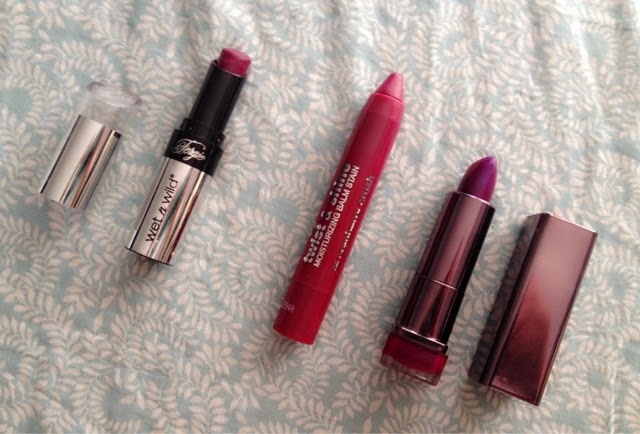 This sucker is the perfect deep purpleish-red shade for winter. It glides on so smooth and feels so luxurious. I can't believe this Covergirl! Mac watch out! Cabernet it is. The ultimate vampy shade. The colour is intense and amazing but does require a little more work. Not loving the bullet. It's hard to work with especially if you want precision. I often need to use a lip brush to apply this colour especially around the cupid's bow. For the price I paid, it's well worth the extra 5 minutes!! -Happy turkey weekend! Live, laugh and eat lots! I know I will. We have 3 days of turkey this year!! 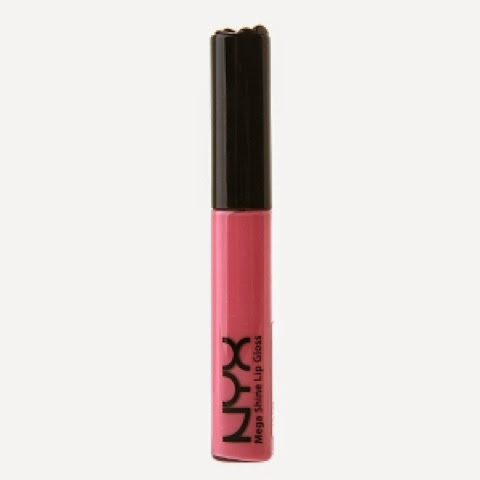 ***drum rolls*** goes to NYX mega shine lip gloss in beige. Don't let the colour name fool you. This gloss is the most flattering high sheen neutral pink gloss. The only thing my lips wanted last month. Quick, easy, and just what my lips needed for that extra oomph. The perfect my lips but better gloss that takes 1 swipe and smells delicious too! Bonus!! -yesssss boot season is finally here!! The temperature dropped again this weekend! I finally got to wear my Steve Maddens! -awwe nothing beats Sunday morning breakfast in bed! Thanks Mr! You really rock my world! -caught my first salmon of the year! Holy crows! It was hard work to land that sucker! I think I lost 10lbs yesterday! I’m JJ. A fussy Gemini with random thoughts.